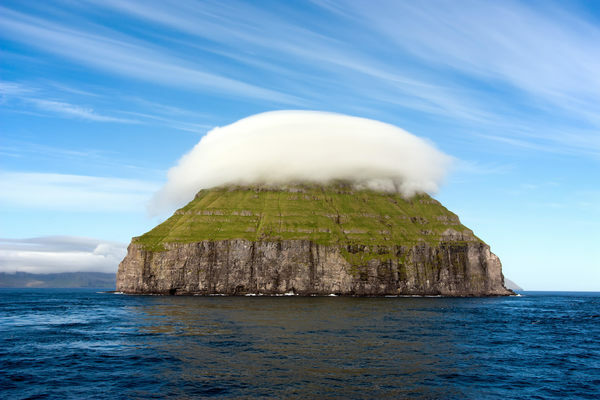 Lítla Dímun is often accompanied by a lenticular cloud. This is so #Myst. For those who know the magnificent computer adventure game that takes place on Myst Island. And this, literally, is that! That’s maybe the perfect comparison, Philip. I’d like to know why and how the farmers put cliff ropes on the island. Don’t let any stoners see this, you’ll blow up the spot. Anybody been here? how much does a trip to a place like this usually cost? You should expect to pay Copenhagen-like prices once on the Islands. Food is especially pricey. I had sticker-shock after dinner the first night at our hotel. Not sure if there’s a boat to Lítla Dímun, but since the attraction is the cloud, the best bet might be a helicopter. While there are tours, another option is to take a “commuter” helicopter and hope you see it. @tyler Ok thanks, nice to know. I am currently in the process of getting my pilots license and was thinking about taking a trip from Cleveland-ish area to London in a few years. Although the weather there might be tough still something to think about. That has got to be the roughest roundup ever! How do they secure the boats? How do they get the sheep down the mountain? And, once at the cliff’s edge, how do they get the animals into the boats? Do they lower them one by one? Do they just throw them into the water and hope they have sense enough to swim to the boats. Must be some pretty valuable sheep. Personally, I think I’d just skip the roundup and do without wool and mutton. The island name says it all - there’s little demons up there. Is that the island where the island of King Kong was in the movie? Expensive but so worth it. There are no North American chain restaurants there. No Starbucks. Just genuine people and spectacular vistas. I flew in with Atlantic Airlines. I booked my hotels in advance and traveled the islands. Superb trip. Highly recommended. Agreed, expensive, but well worth it! One of the most spectacular but under-touristed places in the world. 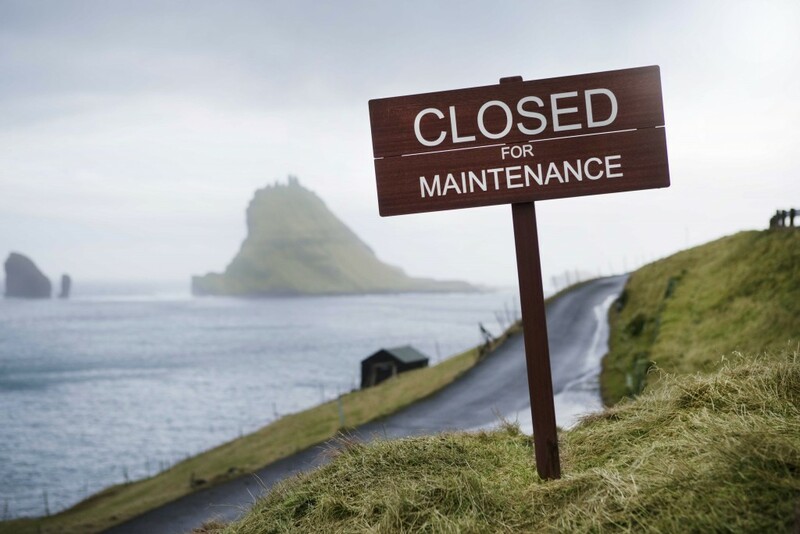 The Faroe Islands restricts tourists for one weekend in April – unless they wish to help locals care for their 18-island archipelago in the North Atlantic.